If you’re a lover of relaxation, then mountain towns can be synonymous with beauty, tranquility. and purity. Or maybe you’re more of the adventurous type, and you see mountain towns as the places where the action begins. Either way, it’s safe to say that people love traveling to the mountains, it’s part of the human spirit. 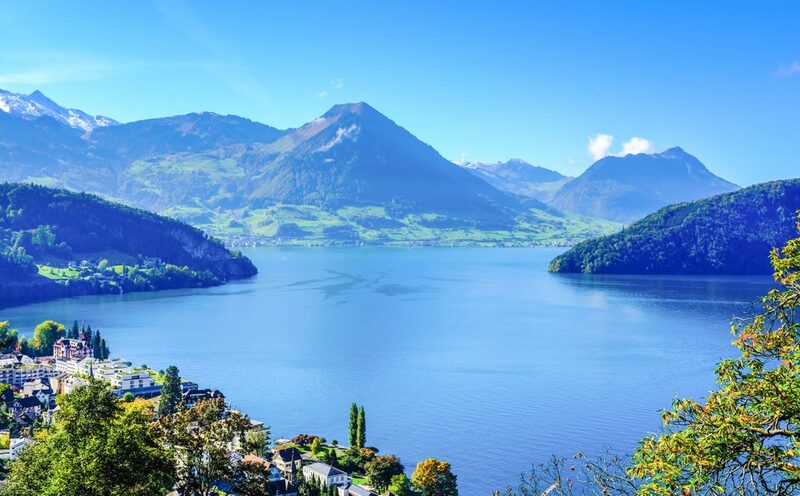 Lake Lucerne is one of the most famous lakes in the world for it’s Crystal waters, alpine hills, and charming lakeside villages. One of the most picturesque of those being Vitznau. In America we tend to find cities historic if they were founded in the 18th or 19th century…but can you imagine going somewhere that has been referenced as far back as the year 998AD? Now that’s history! 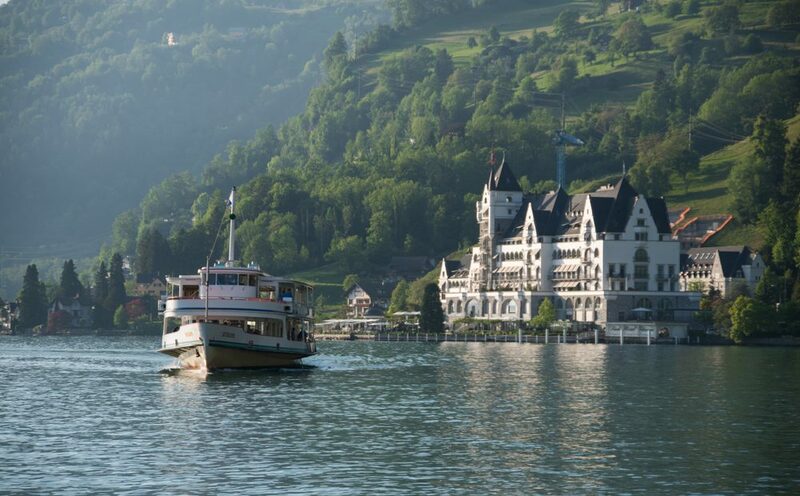 Vitznau is also home to one of the most well-respected resorts on the planet. The Park Hotel has hosted Europe’s finest for over 100 years. With its spas, restaurants, and private boat tours (not to mention the view out your window) it’s sure to remain one of the world’s best for decades to come. You may know Malaysia as a tropical nation in Southeast Asia that sits close to the equator, but did you know that something very special happens in high elevations in tropical regions? A rare biome called a cloud forest develops. These biomes are characterized by cooler temperatures than their neighboring lowlands, but retain the moisture and humidity of tropical climates, making them lush with endemic greenery and animal life. 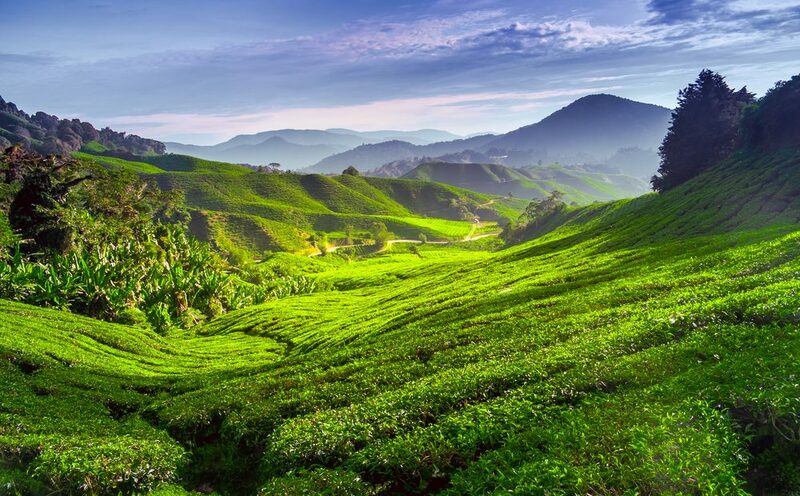 The Cameron Highlands in Malaysia is one of those fabled cloud forests, making the region a food lovers paradise. The Highlands are known for producing three things: Tea, honey, and strawberries. For tea, be sure to check out the Boh Tea Estate, for strawberries (as well as delicious treats made from strawberries), head to Raju Hill, and for honey, visit any of the areas local shops and roadside stands! Villa La Angostura is a popular town in the Andean Patagonia because of it’s breathtaking views. The village itself is constructed out of wood, in the traditional alpine style. Surrounding the village is cobalt blue lake shores, deep green pines and myrtles, and miles upon miles of mountains on the horizon. 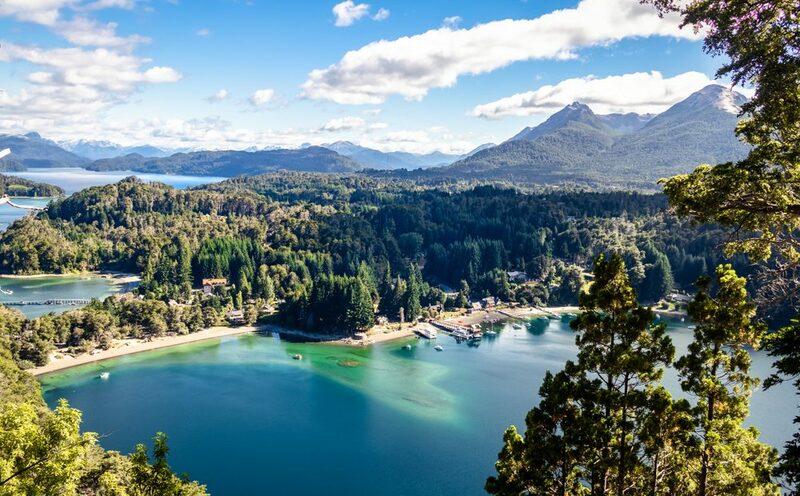 Be sure to visit the Parque Nacional Los Arrayanes to see the endangered Chilean Myrtle trees, which, in these protected forests, can live up to 700 years! The Rio Bonito waterfall is another must-see for nature lovers. When the sun goes down, head into the village for homemade chocolate, beer, and local dishes made with fresh-caught trout. Have you ever wanted to visit a mountain town that’s as beautiful and luxurious as Aspen, but nearer to the East Coast of the USA? Well, all you need to do is cross the border and visit Canada’s Mont Tremblant in Quebec. 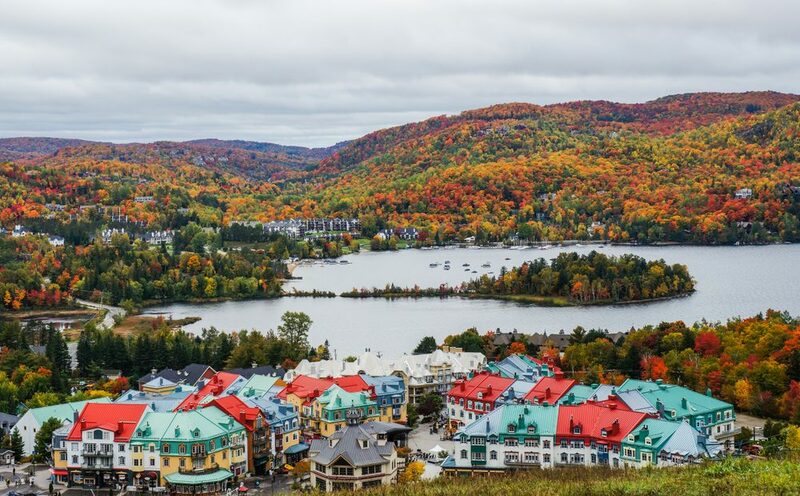 Mont Tremblant is an all-seasons resort town. In the summer, the town is filled with hikers, ATV trippers, and spa-seekers looking to escape life for the weekend. In the fall, the foliage brings travelers from around the world. In the winter, it’s all about skiing, snowmobiling, and snowshoeing. Whichever season you visit, you’re sure to have a great time. The true appeal of Big Bear is not only the extraordinary beauty of this mountain town, but also in the fact that it happens to sit in the dessert of Southern California. Would you believe that if you were to drive down the hill from Big Bear, you’d end up in the Los Angeles area? Big Bear is so awesome because it’s such an easy escape for millions of American who live just a short drive away, making LA even cooler and more unique. 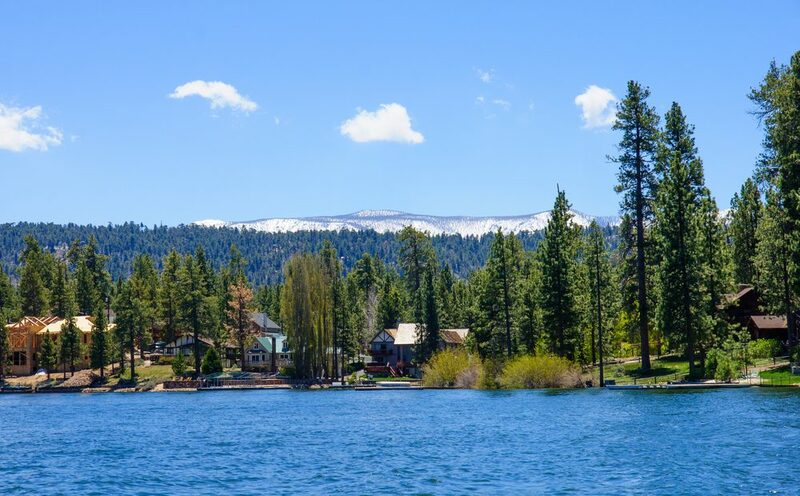 Big Bear is home to multiple ski resorts, the lake houses of the rich and famous, cute cafes serving up some seriously good caramel apples, and it has served as the filming location for movies like When a Stranger Calls, Magnolia, and even Gone With the Wind. This is truly a one-of-a-kind mountain town!